BALLET NEWS: Elisha Willis interviewed for "Cupcakes & Conversation ..."
Elisha Willis interviewed for "Cupcakes & Conversation ..."
Elisha will be performing the lead role (first cast) of Roxane in David Bintley’s Cyrano. She is also dancing in David’s new E=mc² and Garry Stewart’s The Centre and its Opposite in the triple bill Quantum Leaps – in Birmingham and throughout the autumn tour. I have to admit I’m not a morning person. The fact that I love my job makes it easier for me to get out of bed in the morning. But I do struggle. I’ve had the chance to work with some of the most wonderful partners in my career including Steven Heathcote, albeit only a very small part. If I could turn back time I would have loved to have performed a full length ballet with him, Manon or Onegin would have been a dream, he was exceptional in both. I am fortunate enough to have my shoes made for me by Bob Martin, which are made perfectly for my feet. All I have to do is sew on the ribbons and go ! I don’t really have a daily routine as every day is different. Eddie Vedder, Ian Rankin, Dave Grohl, Billy Connolly, Shirley MacLaine, Hugh Jackman. I’ve always been a bit obsessed with Mount Everest. I would love to climb it one day, or at least make it to Base Camp. There are so many people that inspired me and still do, but if I had to pick one it would be Miranda Coney. I grew up watching her, I was always more excited when I saw her name on the casting. I was lucky enough to join The Australian Ballet Co while she was still dancing. She is such a wonderful person and the most fearless performer I’ve ever seen. Honest, independent and a little bit bossy ! Always try to find the positive in every situation. Odette in Graeme Murphy’s Swan Lake – it’s technically and physically demanding but the main test is the epic emotion needed to perform it. It always took me hours to recover after the performances. I can’t think of a funniest moment but my husband and I always have a laugh. I absolutely love chiffon empire line dresses. I think they’re flattering, delicate and don’t restrict your dancing like boned bodices do. It would have to be something like that. My relationship with my friends. A little unrealistic perhaps but Cate Blanchett. I think she’s an exceptional actress. I’m not sure it’s a secret skill, but I’m a pretty good swimmer. I like the fact that she can see the positive in everything - that's a real talent! I like them too! They're wonderful to watch! i learn something everyday about dancing and the ballet from your blog . great blog as usual . Your blog is great.. i liked the favorite quote. You write absolutely beautifully! Thank you so much for the lovely comment on my blog. How did you get into journalism? I've often thought about that as a career. Thanks for visiting my blog and for your sweet comments! What a wonderful blog you have! Thanks for lovely comment Elise. Thanks so much Elise, for stopping by to visit. One of my daughters is a professional dancer. All four of my girls are dancers. Music & dancing are such incredible gifts. Your blog expresses the joy and beauty of dancing wonderfully! the pictures of her dancing are so beautiful! Great interview, down to earth ballerina! Hey:) Thanks for dropping by my blog and for your sweet comment! I don't know much about ballet but hopefully I can learn more from you on your blog:) Have a great day! I don't know much about ballet and have never even been to a performance, but have always thought it a very expressive and lovely art form. Maybe I can learn a few things by reading your blog! Aww thanks! I love yours too:] Ballet is great. Wish i knew how to dance so fluidly like you guys! I adore ballet. I actually study music in college so I'm more into that end of it but I love to go to ballet's. I've been to a few shows. Oh, i like you Blog :) Beautiful Interviews! Thanks for such a lovely comment on my blog.I like to read your blog interviews. Thank you so much for visiting my blog and leaving me such a kind comment! How interesting a blog about ballett! Warm wishes and greetings from Italy! thank you so much for your comment babe, i really appreciate it. Thank you so much for visiting my blog, and your lovely comment! I love the pictures at the top - it's really nice to discover new bloggers (new to me that is!) - have a good day. Thank you so much for your comment, it made my day. It's for people like yourself, that leave comments like that, that make it a joy to take the time out and write about the things and going on's in my life. So thank you. I was reading your blog, and it's so pretty too, i'm now a happy follower. Thank you so much for the lovely comment on my blog. I loved your blog too!!! Elise, I am so glad I found your blog (via your comment on Kim VanDerHoek's blog). This is a fascinating interview due to your creative questions and to the dancer's lovely outlook. I like the way information on her dancing and the super photos are combined with fascinating, broader Q & As that show her as a well-rounded person--you are fortunate to have spent time with her, and we are fortunate you have shared your talk. Thank you so much for your comment, it means a lot to me. How sweet of you to say such nice things about my crazy blog....it's just a fun outlet. I have a friend who is a professional ballerina - it's an amazing art form. Thanks again and please...Stop by any time!! You write so well... I have always been fascinated by the art of ballet... am glad that I can learn more from your blog. Thanks and please visit again. What a beautiful inspirational blog. I always wanted to be a dancer, I find it a perfect way for me to express myself. I did some workshops with some dance companies when I was studying Drama. I loved the more physical theatre side of things and am very much moved by passionate Ballet and loved my workshops with Ballet Rambert, think it is the Rambert Dance Company now. Unfortunately and feel a little tear a coming, my passion for being on the stage remains unfulfilled. Thank you for visiting my blog and your lovely comment. These ballerinas are all stunning. Lovely quote and I always learning more and taking more info from your blog. I love ballet! Have a lovely day. I am so glad that you stopped by my blog earlier and left your sweet comments!!! I am also happy to have discovered your gorgeous blog!!! I am a ballet nut!!! I danced for 16 years...from 4yrs old to 20yrs old. I loved it!!! I saw Margot Fonteyn and Rudolph Nureyev(spelling? )dance when I was young...wonderful!!! I look forward to keeping up with you and the ballet through your blog!!! How exciting to have you come to my blog, Elise! Can you believe I've never seen a ballet, except on tv briefly? Thanks for coming to visit my blog. Your photos are amazing!! Love them all. Thanks for visiting my blog. I am glad I got to visit you, your photos are amazing!! What a pretty blog. My niece would love it too. She is a dancer. Thanks so much for the lovely comment you left on my blog for me. I appreciate it! Great post. That cupcake looks very yummy! Hehe.. It is much appreciated! I really hope you do enjoy reading my ramblings! Thank you for such a lovely comment and i do hope you pop back again !! What lovely words you left for me. Thanks so much - it always makes me smile through the day when someone takes the time to do that. Now off to learn about ballet - at 6ft 1" my dream was squashed quite early on as a left footed loon. Thank you for stopping by arise 2 write and leaving a comment. I am thankful you enjoyed my blog. I look forward to getting to know you better through your blog. Thanks for stopping by the blog and showing your love. I appreciate it a lot=] I love your blog. Ballet used to be one of my passions when I was younger, didn't go far, but I still love to watch and read about performances and dancers who perform or used to perform. Thank you for the kind comments. I have a B.A. in journalism but life took me in other directions. My blog is the first opportunity to express myself in a long, long, time. I'm thrilled that so many people are enjoying it. I must say I was surprised upon arriving here. Your blog is a beautiful look into a world I know very little about. It amazes me how these blogs lead us to experience new things. What a beautiful blog you have here! Thank you so much for stopping by mine and for leaving such a sweet comment. 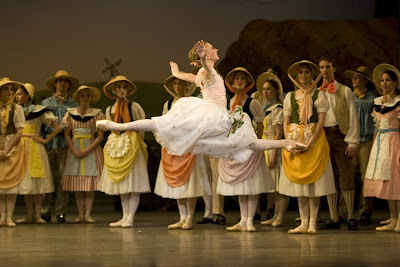 I've always loved the ballet so I've really enjoyed looking through your blog at all your amazing photos. Have a lovely day. Thank you for visiting my blog. Yours is so nice! It's very interesting reading. Thanks for your nice comment and have a wonderful day! I love your blog! My husband and I attend/support the Houston opera and ballet. If you come to Houston please let me know. I would love to see you dance. 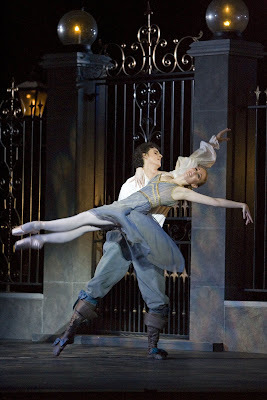 The ballet is my absolute favorite....Thanks for stopping by my blog and please visit again. Beautiful blog! I grew up dancing ballet and have continued practicing on a small bar at home. I love your intervies! Thank you so much for stopping by my blog and your kind words. I will look forward to following your interviews and looking at your beautiful photos! Wow a ballet blog how divine! I had never even thought to look for one, DOH! My favourite books when I was small were all Noel Streatfield and of course Ballet shoes and White Boots were read over and over again~ plus a beautiful translation of a Russian book about a little orphan girl who dreams of the Bolshoi. Stupidly I gave it away and cant remember what it was called. those cupcakes look soooooo yummmm! and btw...i love how u write! Swatantra - thank you and welcome, me too ! Leanne - well, thank you so much for the lovely compliment. There are quite a few routes into journalism - I'd say the things to ask yourself are : can you write a story ? do you want to specialise (i.e. do you have a particular interest in something and experience to back it up) or do you prefer to generalise and cover all topics ? Once you know where your talents lie, you can find a route that suits you. Best wishes and keep me posted ! xLovelyMakeupx - thank you for your lovely comment. I'm sure balance can be worked on - it's all about strengthening the right muscles. Don't give up if it's something you really want to try... vocationally it muight not be for everyone but there is so much to gain from taking class anyway - posture, muscle tone, grace and style to name four ! Keep me posted !! Carrie - how lovely for you - where does your daughter dance ? You must be an very gifted family to have four daughters dancing ! Thank you so much for your lovely comment and welcome - and, please keep me posted ! I love "stay cozy and dancing".. maybe I'll use that sometime ! michellek - thank you - I hope you will be inspired to see a live performance sometime - you will be amazed if you like the pictures - welcome and do keep me posted ! PeriwinkleSu - thank you and welcome, glad you are enjoying them, they are a pleasure to write ! Maggi - thank you so much - and welcome ! Girl with One Eye - I'm so pleased and thank you - welcome ! Mary - thank you for your lovely comment. I did take some time to draw up the questions and keep tinkering with them, so it's good to hear that you like them ! Some of the dancers have told me how much they've enjoyed doing the interviews too. Welcome ! I Love Brownies - thank you for your comment and welcome. Who does your friend dance with ? Tulip - thank you so much for your lovely comment about my writing. Welcome ! Mary Poppins - what a lovely comment you've left me - thank you so much. I don't think I've ever brought a tear to someone's eye before. Such a compliment ! I hope you continue to dance in some way - that dream of the stage is very hard to shake off... even harder if you achieve it and then have to retire or give it up later ! OceanDreams - thank you and welcome; I hope you will continue to enjoy the site ! Rebecca - thank you and welcome. Who does your niece dance with ? sunshine - it was ! thank you and welcome ! Rita - ow, thank you for such a lovely compliment. Welcome ! sweetpralinemadness - lovely to hear from you. I am following Rachel Ware - who is a student just about to join Boston ballet school. I hope you'll report back if you see her perform... welcome and thank you ! sarah-jane - thank you for your lovely comments. I will have to try to find out what that Bolshoi book was called. Welcome ! NIC-KIA - they were !! thank you for the compliment about my writing - welcome ! Thank you Rob - it certainly is a lovely clip of Elisha dancing. Thanks for such a fantastic interview! I run a fansite for Elisha at http://elisha-willis.tripod.com and was wondering if I could have permission to post your interview in the articles section? Will give full credit of course, just thought it would be such a treat for the fans to read your interview!